Just as some dedicate a book or a film to their nearest and dearest, most commonly as a thank you for their patience or for their words of encouragement during the creative process, others like to take it up a notch. Causal Bit Games, a family-run game development team who now have two titles to their name, have provided their daughter, Madelyn, with what many would consider to be the ultimate keepsake. A game which has been designed and developed with her at the forefront, providing an opportunity for her to the hero of the story, as a knight…who is a girl. A touching story, and one I am sure she will be proud to tell people about for years to come. 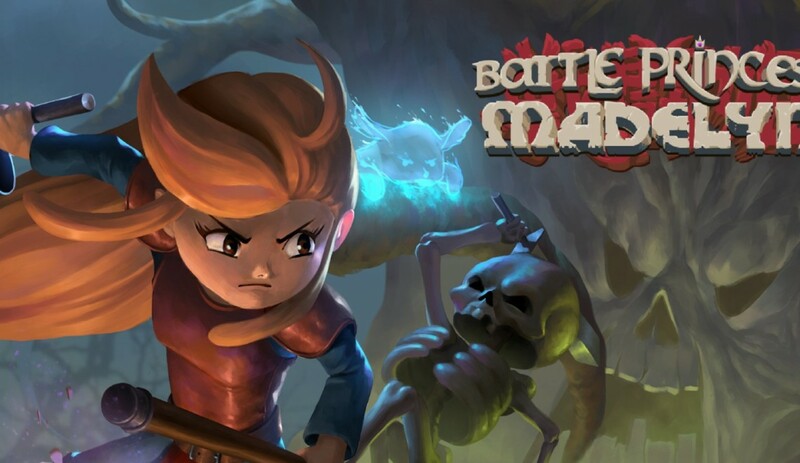 Best described as a retro arcade platformer, it is evident that Battle Princess Madelyn has taken many an inspiration from games of old and tried to inject new life into the ideals of which they were founded. The early indicators of this are in the beautifully crafted visuals that tell the tale of Madelyn’s valiant efforts to save her hometown. On the surface, the graphics are very much retro in nature, from the inventive backdrops to the limited character movement. 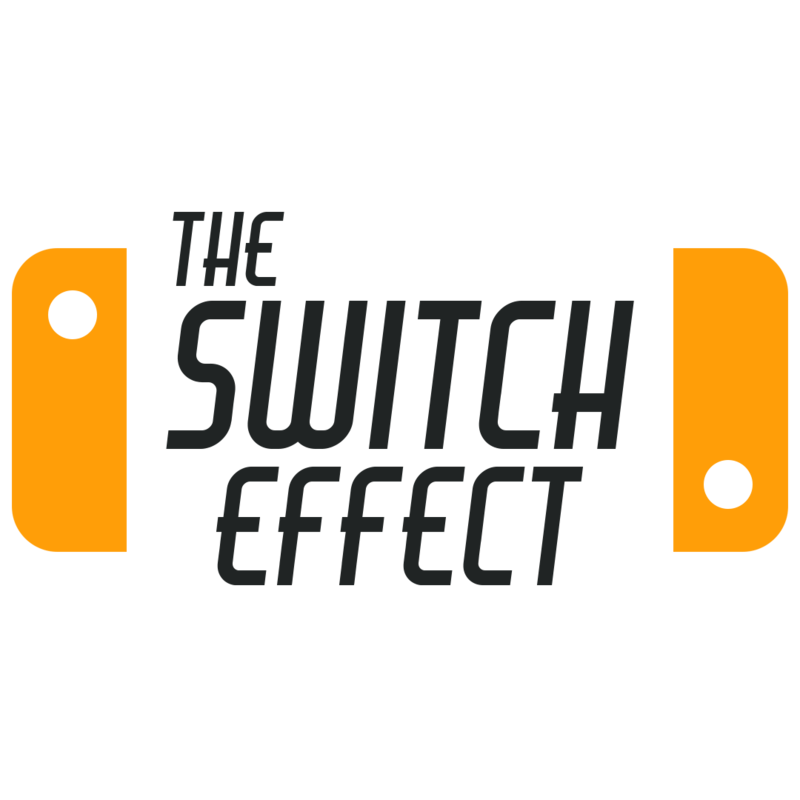 A closer look, however, indicates that there are subtle inclusions which showcase the qualities of the Nintendo Switch and how well they have been utilised. Seeing Madelyn’s reflection in the water as I jumped from platform to platform, or the twinkle of lights as I made my way through one of the many levels, reminded me that this game is more than just a retro re-imagination. To accompany the excellent visuals, there is an equally engaging soundtrack. Available either as an ‘arcade’ mix or as an ‘orchestral’ ensemble, it created an atmosphere that I was keen to be a part of and was just one example of the production value evident in this game. I often consider the best audio soundtracks to be those that I cannot play the game without hearing, and Battle Princess Madelyn fits that bill. 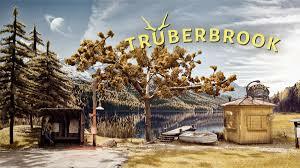 The music was in keeping with the landscapes and the emotions, proving once again that effective use of all the many elements of a game can have a huge impact on how well the game is received. 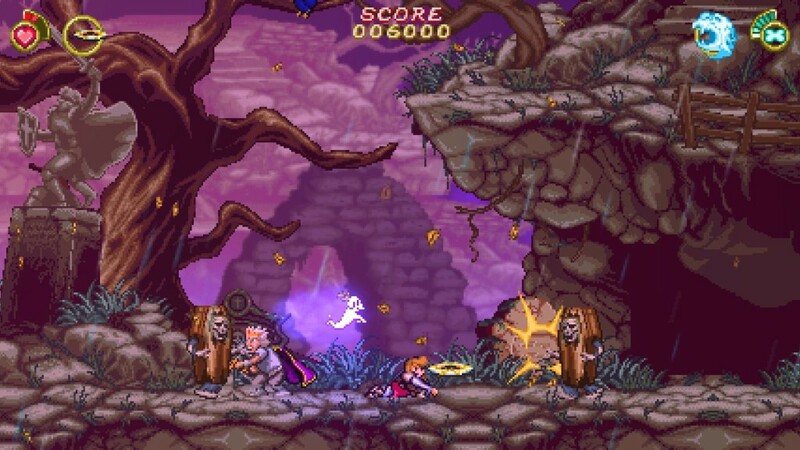 The title offers two gameplay modes, ‘Story’ and ‘Arcade.’ Both have their merits for inclusion, and strengthen Battle Princess Madelyn’s claim as a value for money title. I found the experiences of both to be vastly different, so much so that if they weren’t aesthetically similar, they could have been two different games. Setting the scene for the story itself, Madelyn is tucked up in bed, feeling unwell and playing a game on her iPad. Grandpa arrives, believing a good story is what Madelyn needs to feel better: not staring at a screen. Grandpa begins to tell the tale, and Madelyn’s adventure begins. Obvious from the outset, there are two key elements to the gameplay which aim to set this apart from other platformers. First and foremost, Battle Princess Madelyn allows the gamer to go backwards and forwards between screens. In a similar design to the recent releases of games such as Guacamelee and Hollow Knight, you can return to previous destinations with new powers you have unlocked along the way, allowing you to interact with the environments in ways you couldn’t do so first time around. The second is the interaction with NPCs, or namely the quest givers. There are a large number of NPCs that you can speak to and they provide the occasional hint or tip, but largely inform you of something that is either missing and needs retrieving or…something that is missing and needs retrieving. 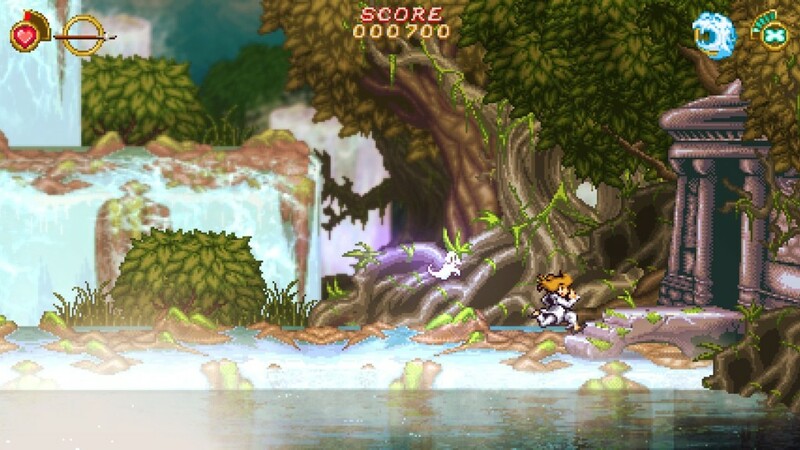 Initially, this seemed like a real strength of Battle Princess Madelyn and one I was looking forward to exploring. In reality, however, it represented one of a few issues with this title that stop it from being a truly great game. For everything Causal Bit Games have got right, there are one or two issues lurking to remind you all is not ideal in this heroes story. Most prevalent is the games lack of direction for you as the gamer. From the moment I started playing the story mode, I felt as if I was guessing at where to go next. With little in the way of support, be it in the form of a quest log, objectives, or even a map, I was never convinced I was playing it right. On top of this, any moments I did get right weren’t really celebrated, and I often didn’t know I had unlocked something of use unless I checked the inventory for myself. For a game where death occurs a lot, and I mean a lot, any cause for celebration should have been greeted with fanfare! In a rather unusual twist to the tale, I actually found the ‘Arcade’ mode of Battle Princess Madelyn to be the more enjoyable game mode of the two. For the most part, this is due to the fact that the aforementioned issues regarding support, quests, and direction are removed. Instead, you are presented with a much more linear experience where you always moving to the right and all the powers you need are unlocked from the off. It was excellent to be able to experience both, and demonstrates just how much love has gone into this title. 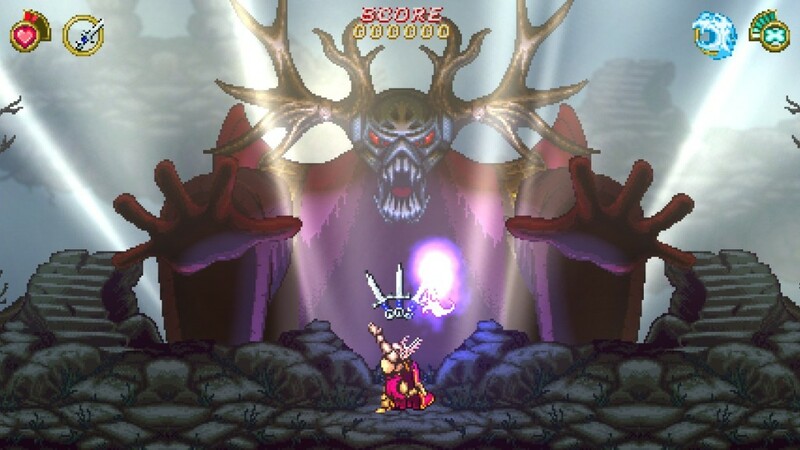 Providing two gaming experiences which are vastly different allows the gamers to enjoy all that Battle Princess Madelyn has to offer, without being hindered by personal preference. It has to be acknowledged that the issues I have presented may actually be deemed a positive for some gamers. We don’t all like to be spoon-fed and as such, a game with little direction and a lot to work out for yourself may be exactly what you are looking for. I do think, however, that this game would prove more appealing to all if it had the option of both. I also believe that a difficulty level would have improved this further. 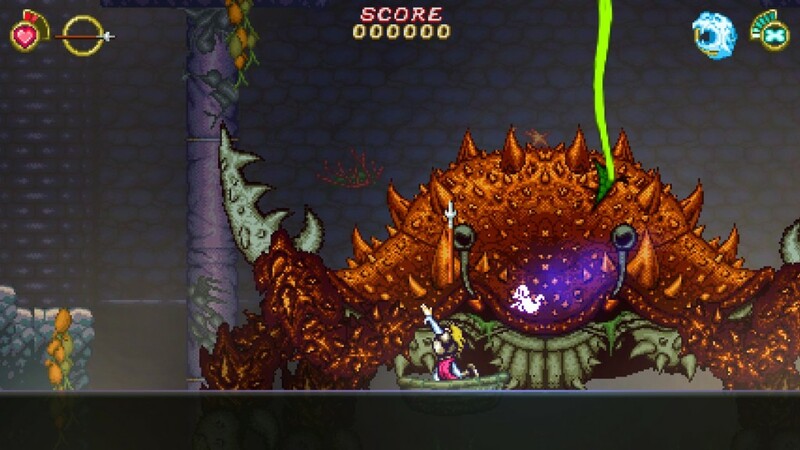 With two varied and distinct game modes, ten levels with up to five stages in each, and some excellent retro-modernised graphics, there is a lot to love about Battle Princess Madelyn. 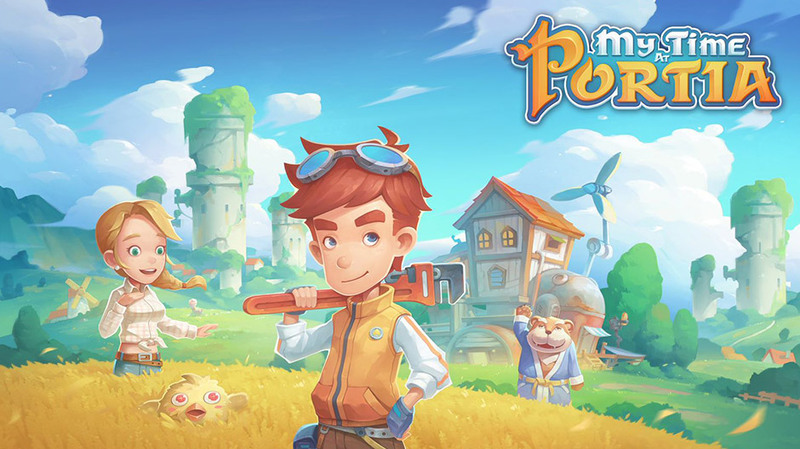 Couple this with a truly heart-warming story of game development motive and the appeal is clear to see. 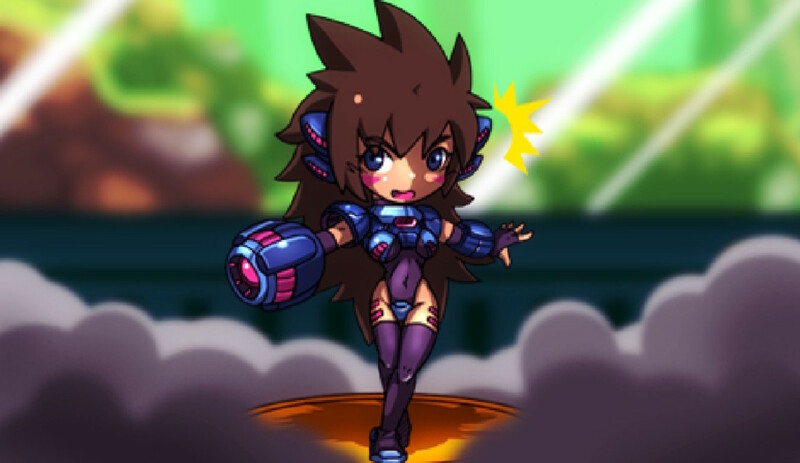 There is a definite lack of both direction and in-game feedback, enough so to make you wonder if you are on the right track, but the Arcade mode offers everything I wanted from Battle Princess Madelyn anyway. Would I have purchased the game at it’s recommended retail price for Arcade alone? I’m not so sure. I do know, however, that for the right gamer at the right price, this is one game not to miss out on.